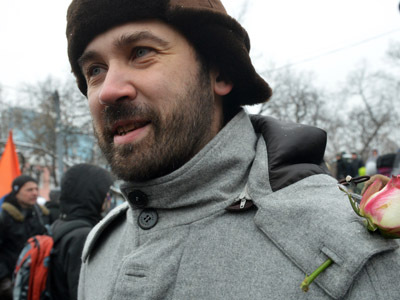 One of Russia’s opposition leaders Sergey Udaltsov has been placed under house arrest for inciting violence during anti-government demonstrations in May 2012. 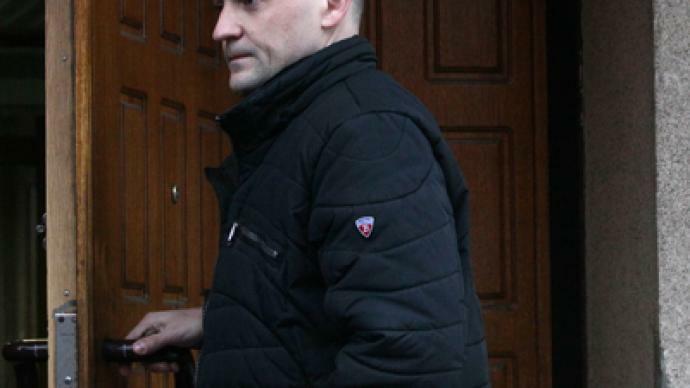 ­Udaltsov now must stay at his home until April 6, and is also banned from using the telephone or Internet. Its been ruled he may only speak to his family, lawyers, or investigators. Sergey Udaltsov is the leader of the Left Front movement, a communist linked organization. The current opposition leader has been in politics for decades, but in the course of the latest anti-government rallies he emerged as one of the opposition’s main faces. Udaltsov has been detained on multiple occasions, being arrested 12 times in the last year alone, for violating police orders and urging other demonstrators to follow his example. In June, he was charged for reportedly attacking a young woman during one of the rallies. The investigators launched the case, based mainly on a documentary aired on the channel NTV in October, which featured Udaltsov, along with two of his followers, allegedly carrying out negotiations to find foreign funds for financing the rallies in Russia. Afterwards, investigators added the charges of inciting violence during the anti-government protests on May 6th , 2012, just ahead of President Putin’s inauguration. 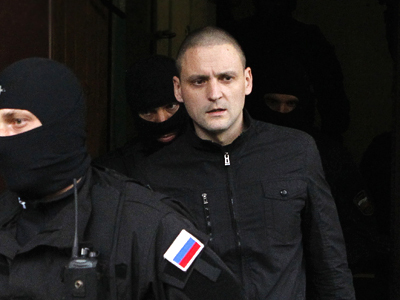 The 35-year-old Udaltsov faces 10 years in prison if the case results in a conviction. 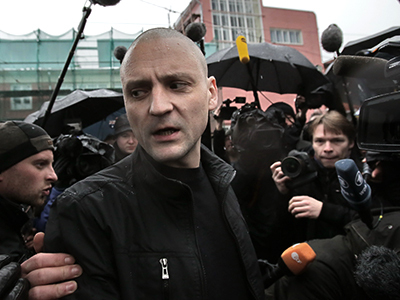 Although Udaltsov remains one of the key opposition figures, other activists frequently don’t see eye to eye with him. Only a few days ago, scuffles broke out between activists of the “Drugaya Rossiya” (“Other Russia”) movement and Udaltsov at a funeral for another opposition activist, Aleksandr Dolmatov, who committed suicide after the Netherlands rejected his asylum request. The activists claimed that Udaltsov used the event for personal PR.